Kurt Angle appeared on the latest episode of RAW in his hometown at Pittsburgh, Pennsylvania and announced the last match of his career will take place at WrestleMania 35. He is a multiple time champion and a Grand Slam Champion in both WWE and TNA/Impact wrestling and has won championships around the world, from NJPW to the Indies. Angle is a Hall of Famer under both the Impact and WWE but his most important achievement is that he is an Olympic Gold Medalist in amateur wrestling. Angle has entertained us for over two decades and now its time for him to finally say goodbye to the ring considering his health and future. WrestleMania would be the last ride for Kurt Angle and it could be used to push a new superstar. Here are some of the superstars who could retire Kurt Angle at the Show of Shows. Lars Sullivan was among the first set of recent NXT call ups and was scheduled for a push from the very beginning. He was set to kayfabe injure John Cena in a backstage segment leading to a program at the Show of Shows. However, Lars suffered an anxiety attack which forced WWE to cancel all the plans, while most of the people backstage didn't believe in Sullivan's anxiety claims citing it as a reason to avoid testing under the Wellness Policy. 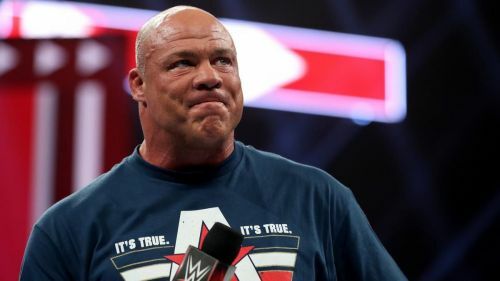 Although, if there's a chance that Lars could make his comeback to the ring, Kurt Angle would be the ideal opponent for him to start off his main roster journey. 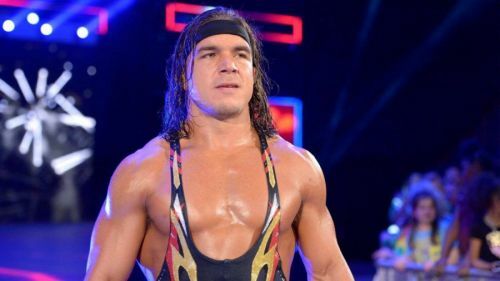 Chad Gable was once touted as the second coming of Kurt Angle and was the first choice for the controversial Kurt's illegitimate son angle. However, the honors went to Jason Jordon who eventually suffered a neck injury and the angle was stopped and scrapped altogether. Both Gable and Angle come from an amateur wrestling background and have represented the USA in the Olympics. A match with Kurt Angle would serve as a passing of the torch to the next generation and Chad Gable might be the best candidate for it.